Ted Kravitz was born on 21st March 1974 in Hammersmith, London, England. His birth name is Theodore Joseph Nathaniel Slotover. Ted’s mother’s name is Jill Slotover and his father’s name is Robert Slotover. His surname is taken from her mother’s side of the family. Likewise, he joined the City of Londo School, which is an independent institution for boys. Later, he joined University of Exeter, South West England, UK. He worked as a presenter by presenting a show in the University Radio Exeter. After graduation, he was trained as a journalist at CBS News, London. After that, he began working for a local radio station as a news reporter and sports reporter in South-West England. Later, he returned to London and worked at 95.8 Capital FM on the news show ‘The Way It Is’. Also, he holds a degree in Politics. Ted holds British nationality and belongs to unknown ethnicity. He has light brown hair colour and has dark brown eye colour. His zodiac sign is Aries. Ted Kravitz began his career as a news and sports reporter for London News Direct and LBC, he joined Chrysalis Television in the fall of 1996. He worked on their Grand Prix Programming and later worked with ITV as a producer in 1997. After that, he served as a pit-lane reporter on F1 and also presented the British Touring Car Championship in 2007 and 2008 while working for ITV. He shifted to BBC in 2009 and continued his job as a pit-lane reporter alongside Lee McKenzie in which he covered the Formula One. He worked there until he made his decision to move to Sky Sports F1 in 2011. It was declared in December 2011 that he would join Martin Brundle and others from the BBC to work for BSkyB’s Sky Sports F1 coverage in 2012. Later, he hosted the channel’s weekly show, The F1 Show. He joined Georgie Thompson as a co-star for the 2012 season but in 2013, Thompson was replaced by Natalie Pinkham. 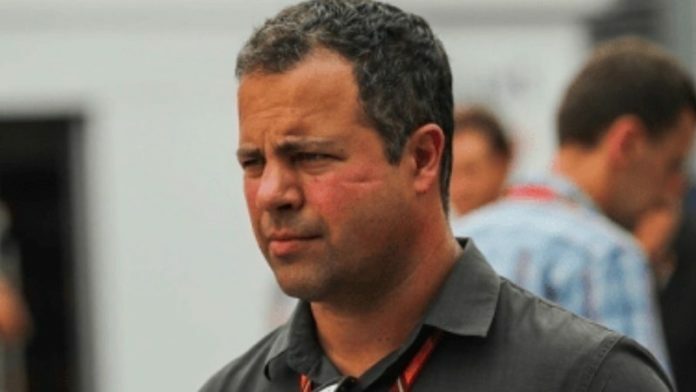 The 45 years old, Ted Kravitz is a married man. However, he has not disclosed information regarding his wife. The couple has welcomed three daughters in 2011, 2012, and in 2018. But, their names are also not revealed yet. The British TV presenter and aircraft pilot, Ted Kravitz has earned the decent income from his career. However, he has not revealed his net worth till date. Likewise, Ted has around 273K followers on Twitter, around 10.9k followers on Instagram, but he does not seem to be active on Facebook.